I couldn’t drink a whole beer if my life depended on it. I just can’t stand the taste. But you give me some beer cheese and I will eat you under the table. This dip/spread is SOOOOO ridiculously good! I have heard it is an ‘acquired taste’ but I ‘acquired’ a taste for it after just 1 bite. The night before, open the beer to let it go flat before making the dip. To make the dip combine all the ingredients in a food processor and pulse until combined. You can add a couple of tablespoons more of milk if you want it smoother, but we like it chunky! Serve with veggies and crackers! 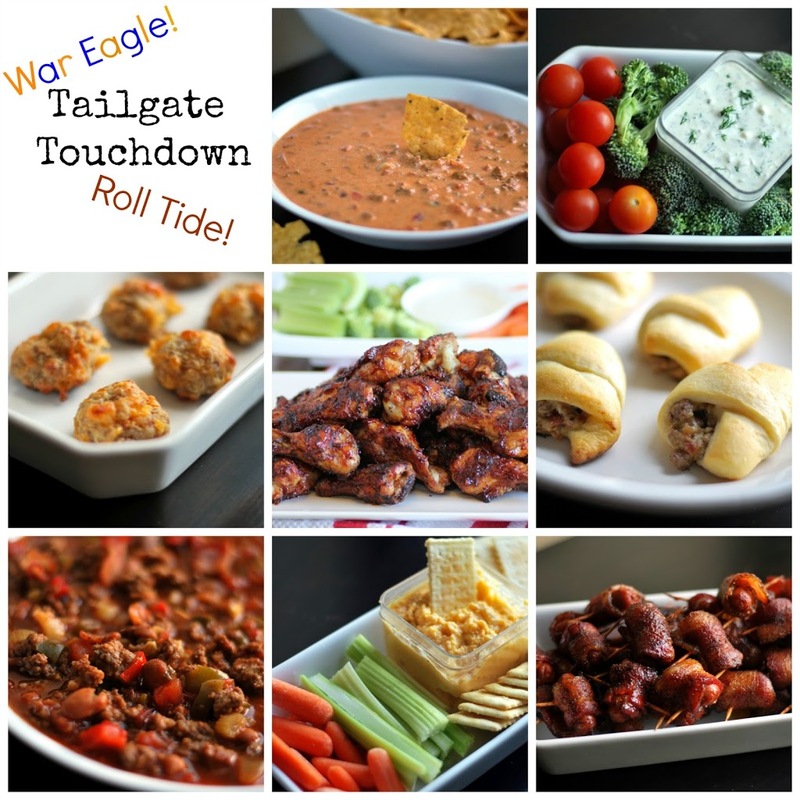 For more delicious football food and party appetizers, check out Tailgate Touchdown! That’s a totally new one on me. I wonder if it would work with cider too – mmm! This looks delish! Perfect for football season! Oh yum! I might have to make this for my husband’s fantasy football draft. Beer Cheese Spread sounds like a fantastic idea for my next football party!!! Oh yum, this looks amazing! I would love to serve this at one of our tailgate parties!